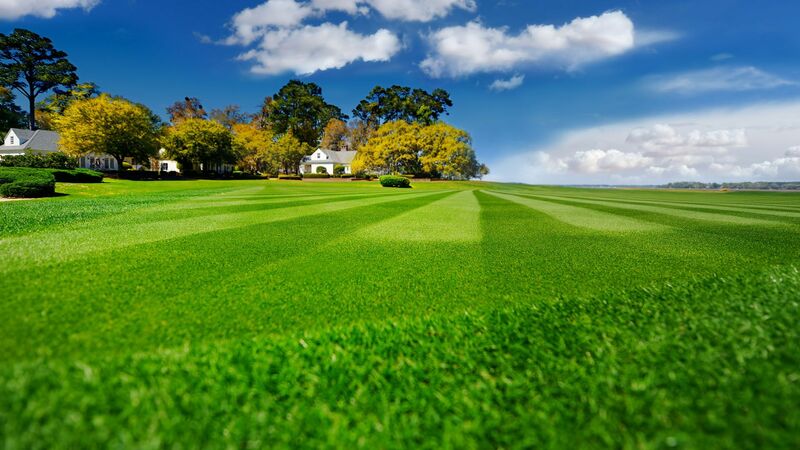 Get a beautiful, worry-free yard this season with our lawn maintenance services. 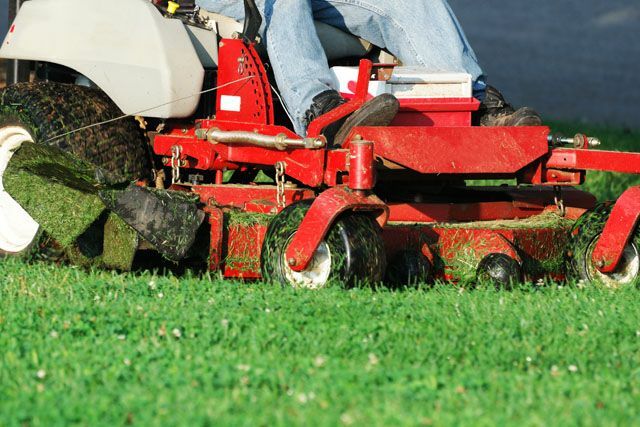 Serving the Landscaping Needs of Binghamton and Ithaca Homeowners and Businesses. Learn how you can bring your outdoor space up to it's true potential with a FREE estimate. New Showroom in Johnson City Now Open! 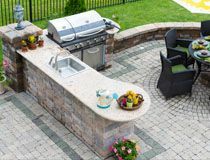 Thinking about a new backyard patio, retaining wall, water feature, fire feature or even a full featured outdoor kitchen? Visit our new showroom in Johnson City NY between Wegmans and Home Depot and touch, feel and walk on your new patio before you buy! Hours are M-F 9am - 5pm and open late Thursday until 7pm. Take an interactive tour below! A Great Choice Lawn Care & Landscaping has been serving the greater Binghamton and Ithaca NY regions for over 25 years. 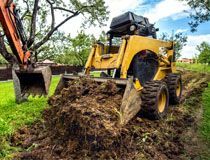 We offer a full range of landscaping services for both residential backyards and commercial properties regardless of the size or budget of your project. 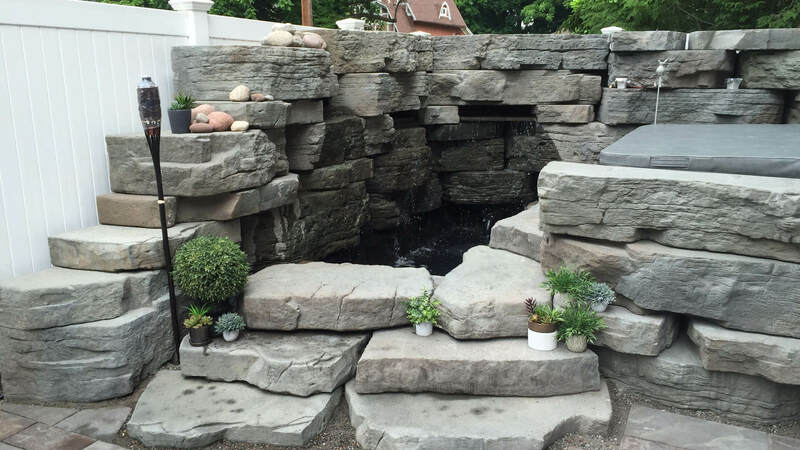 From functional retaining walls to a backyard grotto to relax and get away from it all, our landscape and hardscape experts make sure your job is completed to the highest degree of craftsmanship and built with the highest quality of materials. 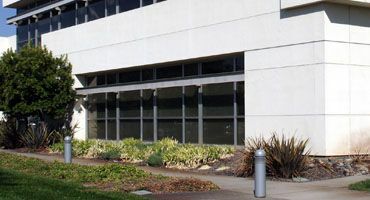 Helping you beautify the outdoor space at your home or business is our commitment and we guarantee satisfaction to all of our customers long after your project is complete. Whether you’re looking for residential landscaping services to liven up your outdoor living area, looking for new landscaping or seeding after installing an in-ground pool, or if you want us to fix another landscape contractors poor work, our hardscape experts can take your project from concept to reality. 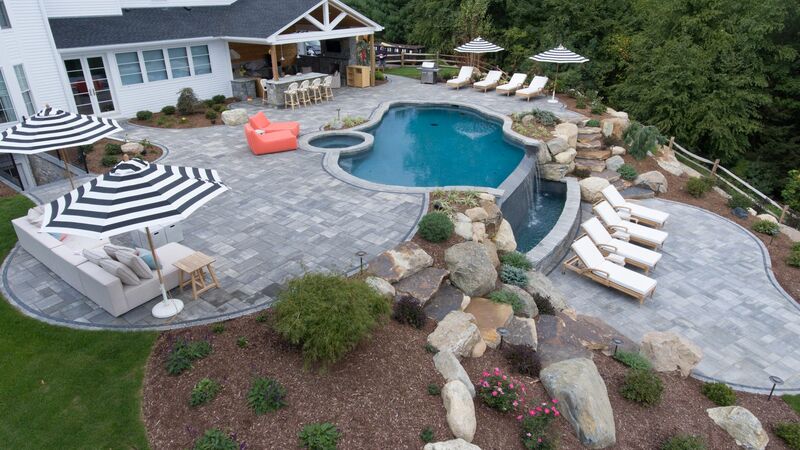 We have years of experience in designing patios, walkways, outdoor kitchen areas, water features and much more. 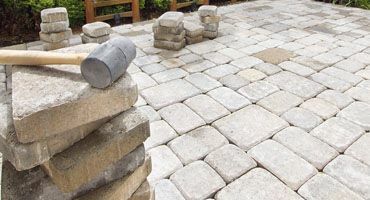 We’re one of the only hardscape builders that stand behind the projects we complete for our customers and we take immense pride in our craftsmanship. We have many customers that come back to us many years after their installation to thank us for creating an outdoor space for them that was built to stand the test of time. Out company motto is “Do it once, do it right” and that attitude is what has made us a leader in installing patios, outdoor water features and fire features, walkways, retaining walls and more for the last 25+ years. 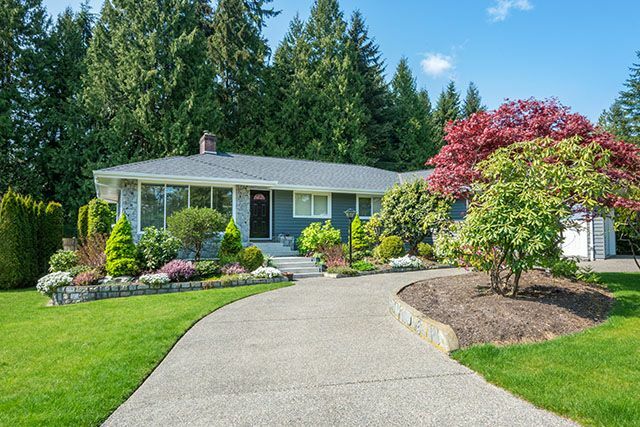 We know that your landscaping project is an investment into your property and should be a unique reflection of your personality and style. Our design/build team will work together with you to source products and come up with unique design suggestions which are sure to make your yard the showpiece of your home. 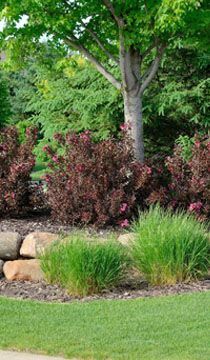 We’ve invested in landscape design software that will help you visualize your project before the first shovel hits the dirt and allow you to choose from thousands of plant varieties and even allow you to visualize how your new landscaping project will look and change throughout the seasons. 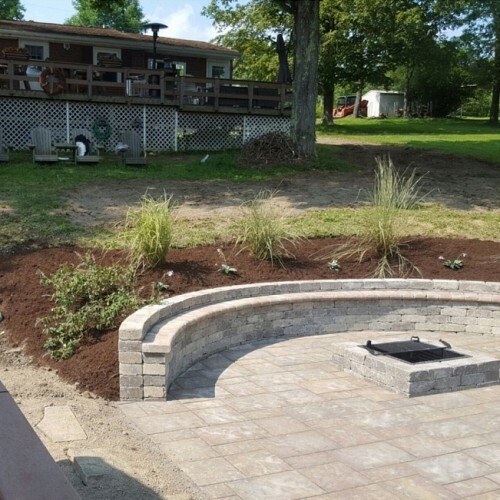 Our technology combined with our over 25 years of expertise as a landscaper in the Greater Binghamton region allows us to stay on time and on budget to help you start enjoying your project faster. 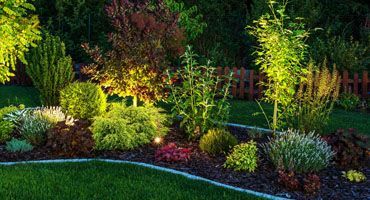 The best choice you can make to start getting the most out of your Binghamton or Ithaca home is to fill out the FREE landscape consultation request form on this page today. 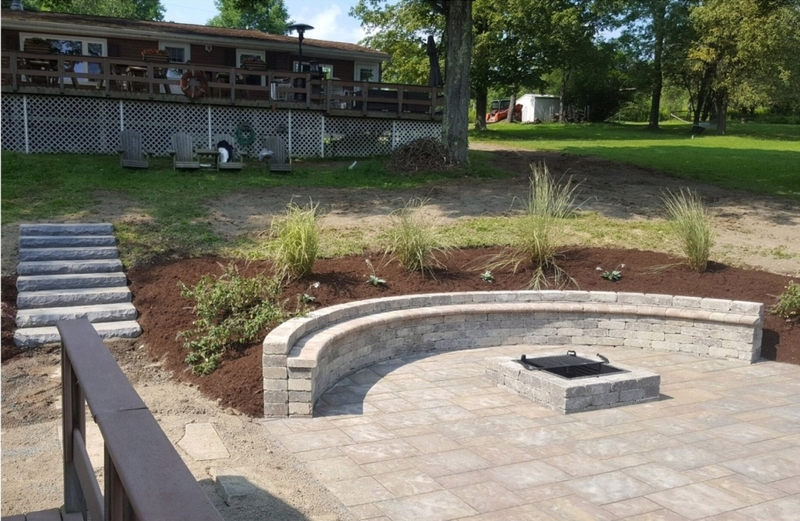 Our project manager will schedule a convenient time to come to your Binghamton or Ithaca NY home or business to provide a complimentary landscaping estimate utilizing our unique landscape visualization software and answer all your questions you have about transforming your outdoor space into a beautiful extension of your home. If you've been looking for a landscaper to transform your backyard into an outdoor oasis, call A Great Choice today to start creating the yard of your dreams. John and his crew went above and beyond our expectations in building our new patio. They thought of everything. We cannot be happier. I had them remove my existing disastrous lawn and replace it with new sod. Matt and crew did an amazing and very meticulous job. They didn't leave so much as an old blade of grass or a spec of dirt anywhere when they left. I'm very pleased. Great company to deal with. Highly recommend this company!